Allison named as one of the Nation’s top 40 Under 40 Remodelers for 2017. On behalf of the Almar team, I am pleased to announce that our General Manager Allison Q Guido is being honored by Professional Remodeler Magazine as one of the Nation’s top 40 Under 40 Remodelers for 2017. Allison was featured as a Woman in Business in the 2008 & 2009 March edition of South Shore Magazine. Allison was also the South Shore Women’s Business Network featured business in December of 2008. 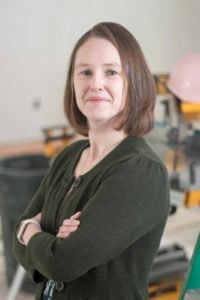 In 2011, both Craig & Allison were honored with this award, and Allison has also previously been honored with Cape & Plymouth Business magazine’s 40 Under 40 award and West Virginia Wesleyan College Young Alumnae Award for her work here at Almar and in the community. Almar Building & Remodeling Co (Hanover Ma). 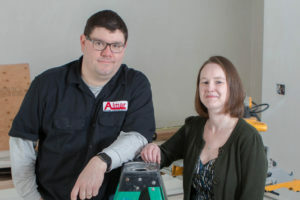 As a third generation family owned and operated company for over 58 years Almar Building has all the benefits of a small company with the options of a larger company. From Additions, Kitchens, Bathroom, Basement Renovations, Siding, Windows, to Doors Almar services the entire South Shore of Massachusetts including: Hanover, Hingham, Pembroke, Norwell, Scituate, Cohasset, Duxbury, Hanson, Abington, Rockland, Holbrook, Braintree, Weymouth, Milton, and many more towns.